This is a black stout (SRM 43) with a dark tan foam head with medium bubbles that disappears quickly. There is just a hint of the chocolate in the aroma it is a very subtle but it is there. No hint of bitterness in the aroma at all. For taste, there is a subtle hoppy bitterness. The dominate flavors are oak and barley. 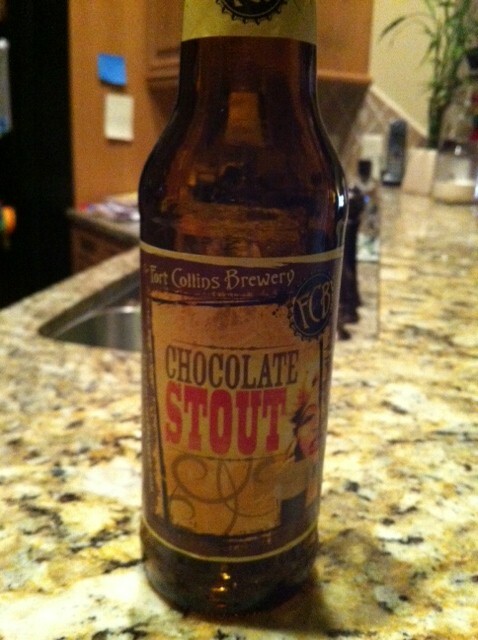 The chocolate taste is there but it dose not overpower the other flavors in the beer. This stout has a very smooth mouth feel. Overall Impressions: A very pleasant beer. I am usually not a stout fan, but this was nice. Good with steak or after dinner.